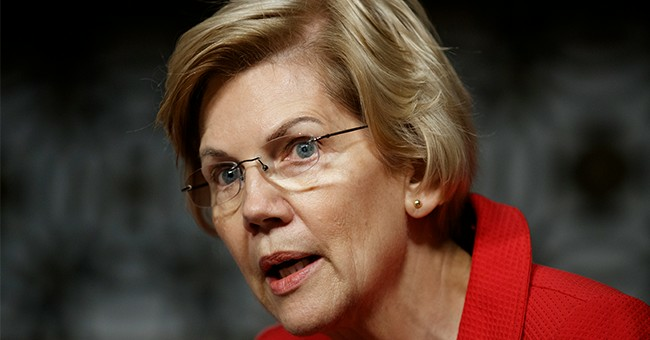 During a town hall held by CNN Monday night, Massachusetts senator and Democrat presidential candidate Elizabeth Warren vowed to go after White supremacists should she win the White House in 2020. During her remarks on the issue, Warren implied President Trump isn't addressing white supremacy, but a quick search over at the Department of Justice proves otherwise. Eighteen members and associates of a white supremacist gang, the Universal Aryan Brotherhood, have been charged for their alleged roles in conspiring in a racketeering enterprise, kidnapping, and drug conspiracy. The charges were announced at a press conference today in Tulsa by U.S. Attorney Trent Shores for the Northern District of Oklahoma, Special Agent in Charge Tamera Cantu of IRS-Criminal Investigation’s Dallas Field Office, and Assistant Special Agent in Charge James M. Wright of U.S. Immigration and Customs Enforcement’s Homeland Security Investigations (HSI) Dallas Field Office. Fifty-seven individuals, who are connected to various white supremacist gangs have been charged in a case led by the Texas Department of Public Safety Criminal Investigations Division and coordinated by the Texas Anti-Gang Center with participating partners such as the Dallas Police Department Criminal Intelligence Unit and the Drug Enforcement Administration. Erin Nealy Cox, U.S. Attorney for the Northern District of Texas made the announcement today at a press conference. The 57 individuals were charged in conspiracy to commit kidnapping and drug trafficking conspiracies outlined in the Indictment. 42 of those defendants were arrested in last week’s takedown operation, 9 were already in custody at various locations on unrelated state charges, and 6 have not yet been arrested. Dozens of other examples can be found here. The Department of Justice has been prosecuting white supremecists since President Trump took office in January 2017. To say otherwise is factually incorrect.